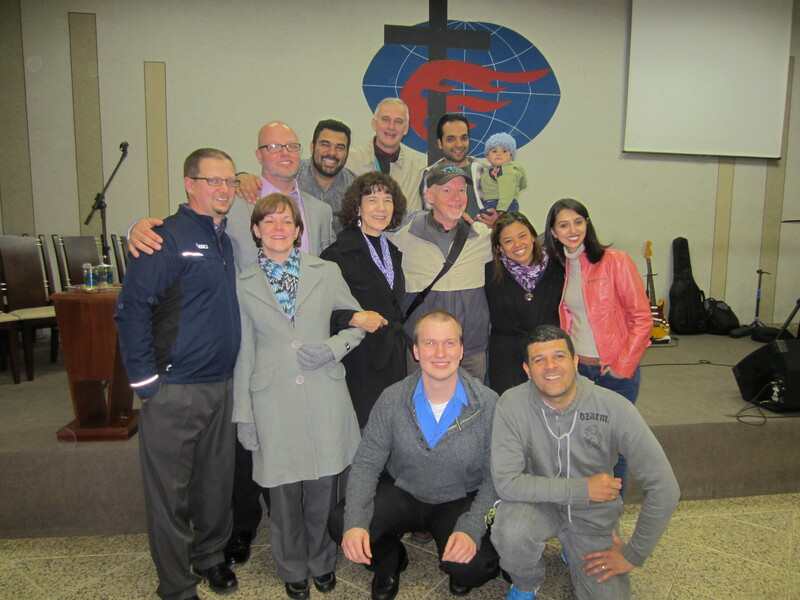 In August I traveled to São Paulo to coordinate the ministry of a worship arts team from Michigan. It was a special treat to have our son Steven come along as a translator.The team led two Saturday conferences on worship ministry in the local church, one in the southern and the other in the northern regions of the city. The first gathering included 170 participants and the second had 105. Thirty-five churches took part in the event, some participants coming from as Brasília, Cuiabá, and Rio de Janeiro. The team led an inspiring worship service, followed by breakaway sessions and a forum in which practical and Biblical guidelines were offered for the leading of public worship. We trust that churches will be renewed, strengthened, and encouraged as the worship leaders return to their churches and apply the principles presented and encouragement received. In addition, the worship arts team engaged in an intense week of ministry: singing, testifying, and preaching in six churches and four schools located in very needy neighborhoods. As they shined the light of the gospel, lives were transformed for which we give HIM praise. Furthermore, the Church was built up and strengthened to better reach out to a needy and lost world. Thank you for your prayers that brought us together as a team, enabled us to partner effectively with our Brazilian brothers and sisters, and strengthened us each step of the way.